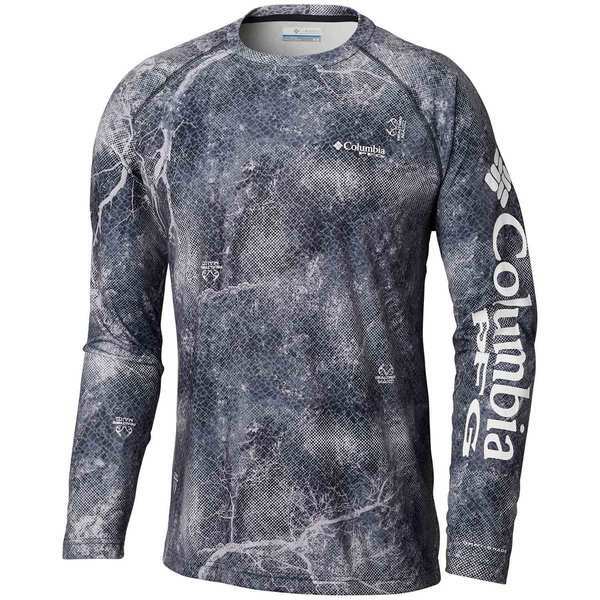 This polyester long sleeve makes a great base layer, keeping you warm on chilly mornings and—once the midday sun hits—neutralizing sweat and the odor-causing bacteria that comes with it. The Men's PFG Super Terminal Tackle™ Shirt features oversized Columbia Sportswear and PFG wordmarks on the sleeve. 100% polyester. Imported.